Crunchy Cabbage Salad – Chef Tom Cooks ! 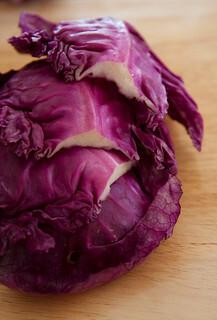 Here is a tasty salad for you cabbage lovers out there! Simple to make and good for you! In a large bowl, toss together cabbage, bean sprouts, carrots, scallions, and cilantro. In a small bowl, make the dressing by whisking together mayonnaise, soy sauce, lime zest, lime juice, and vinegar. Pour over salad and stir until evenly coated. Garnish with chow mein noodles prior to serving.